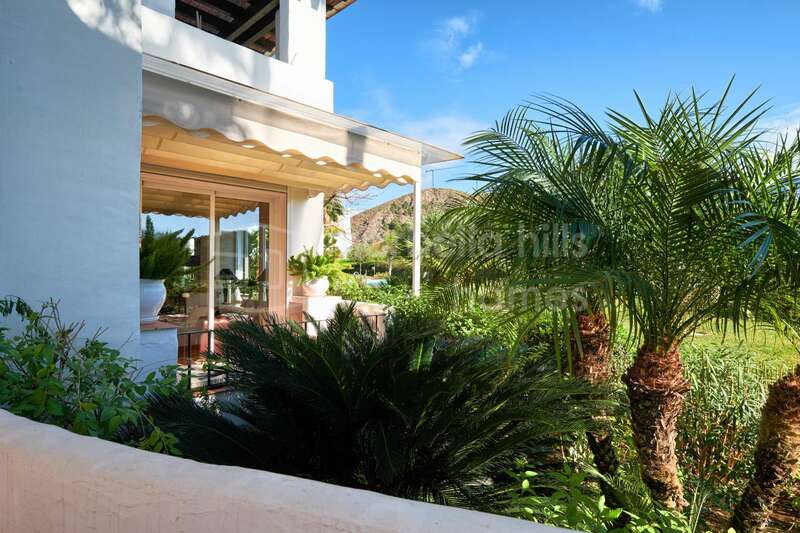 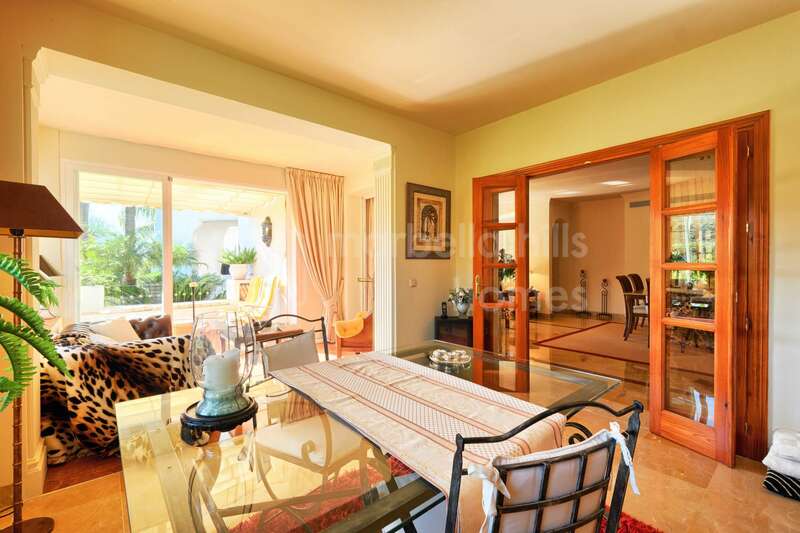 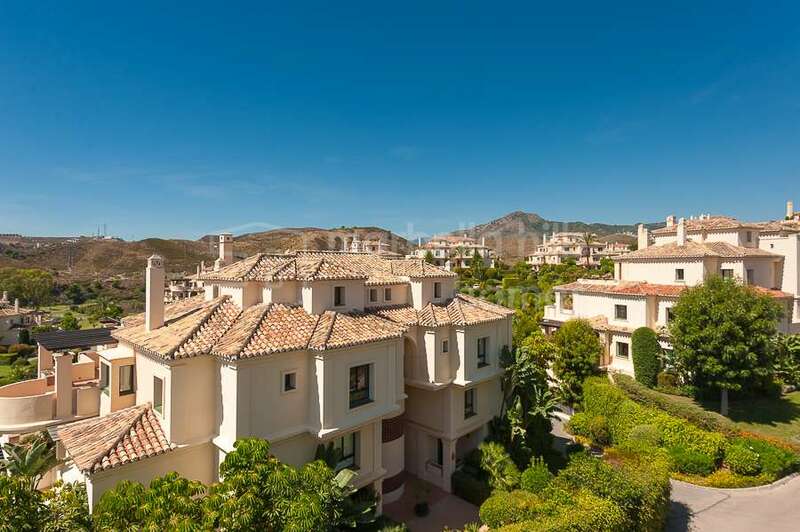 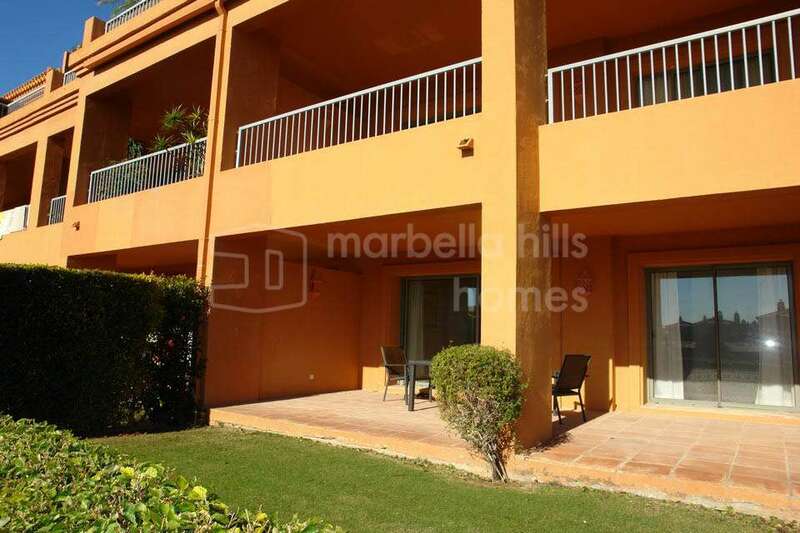 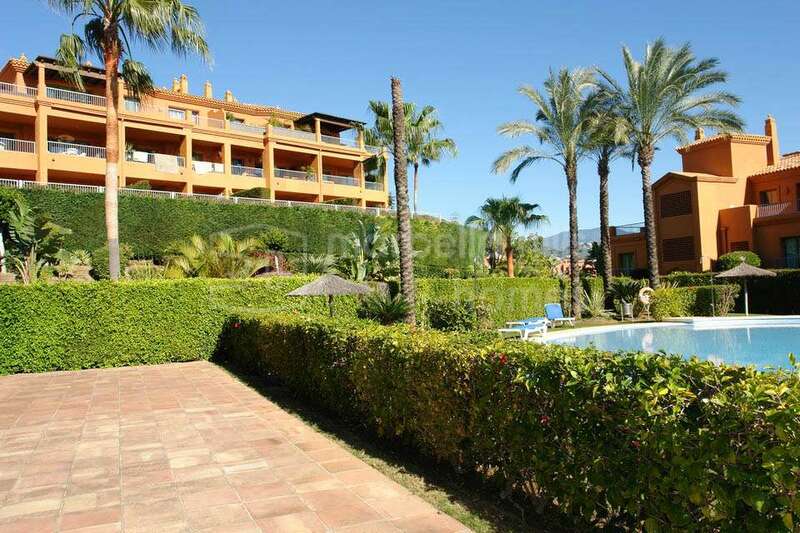 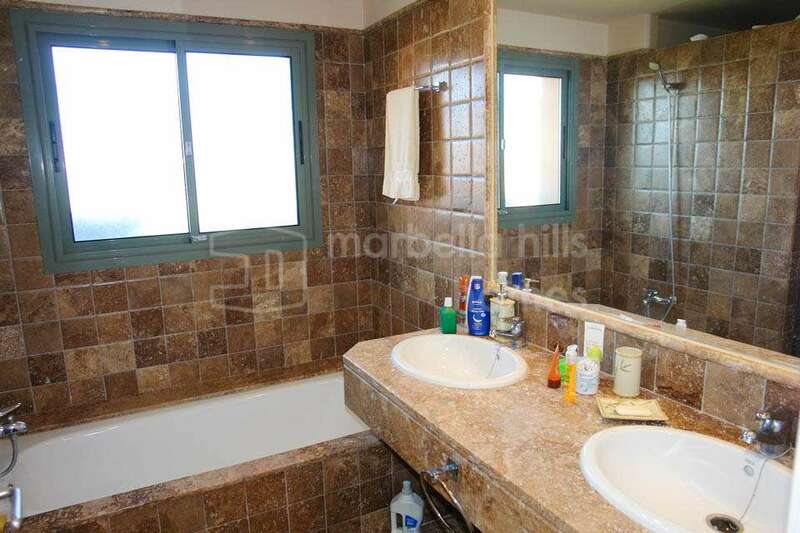 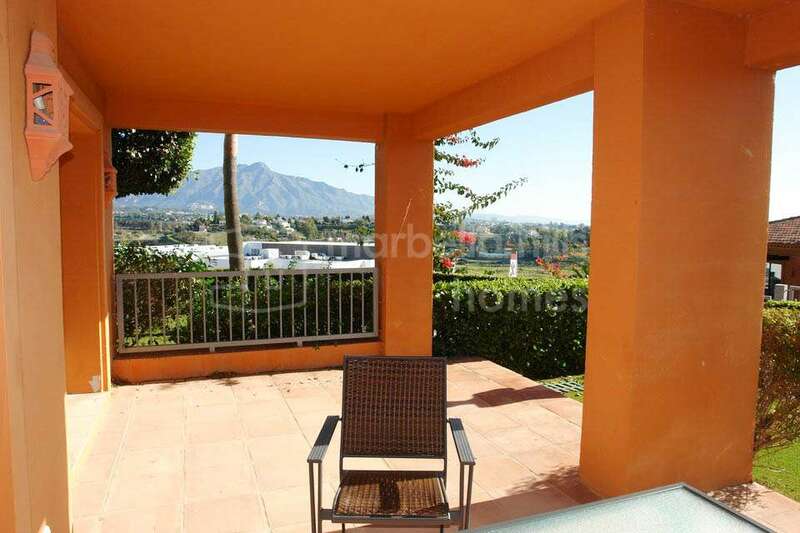 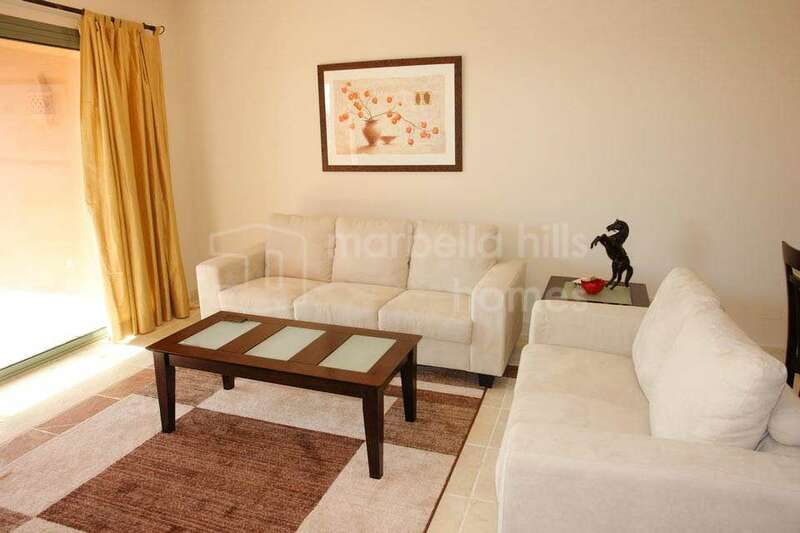 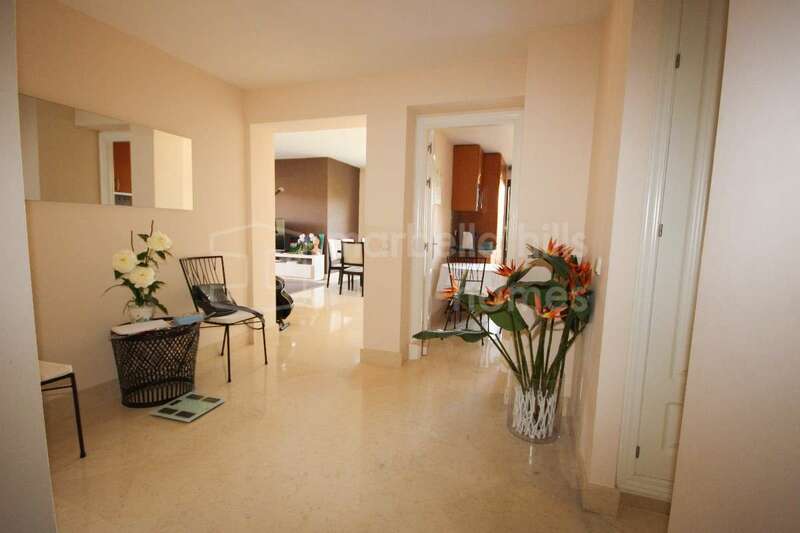 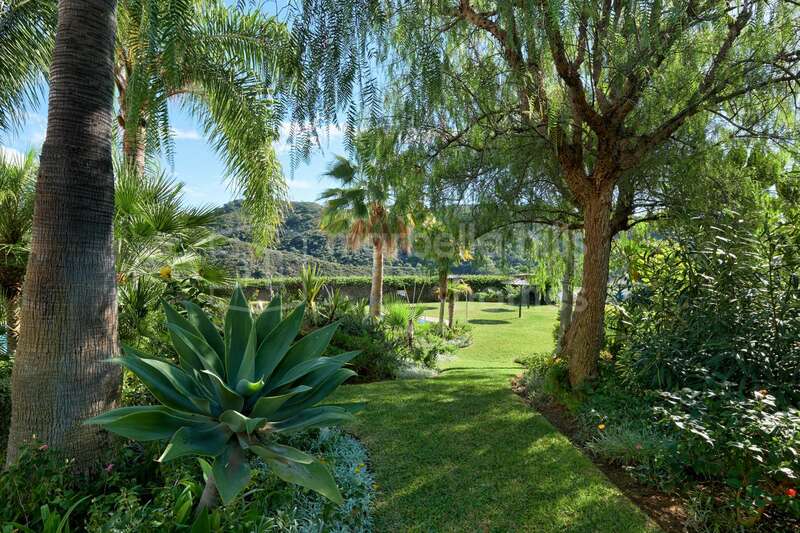 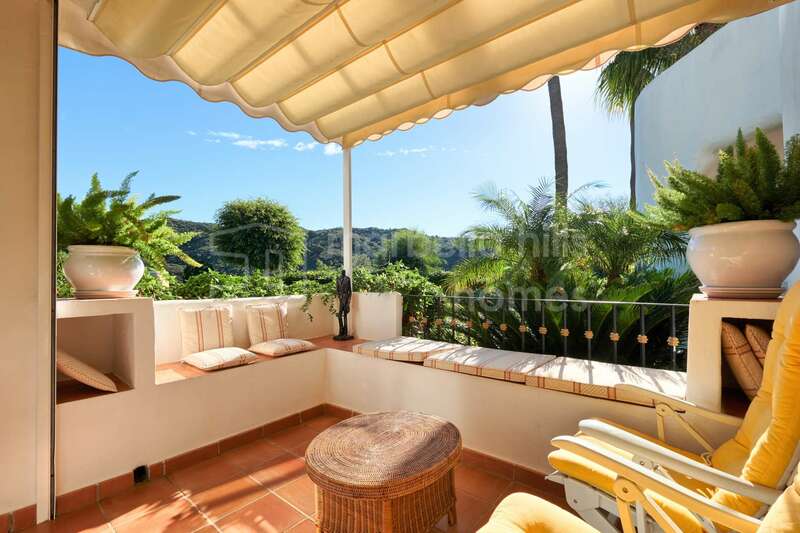 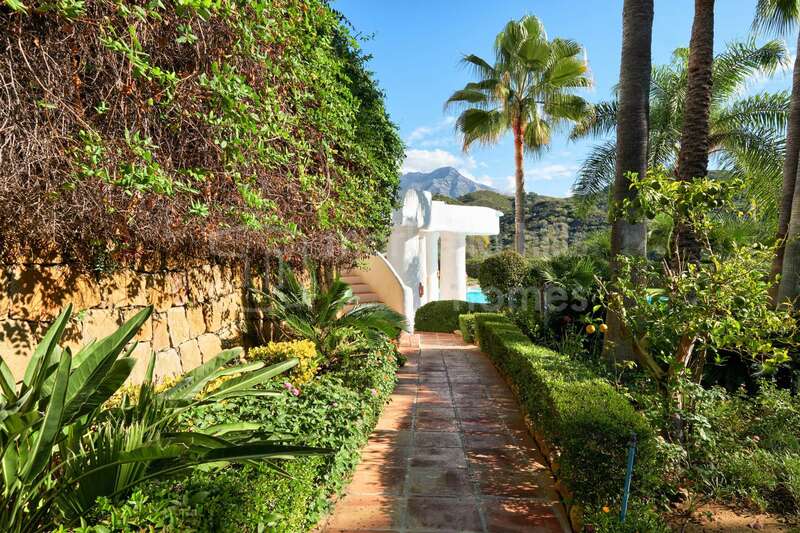 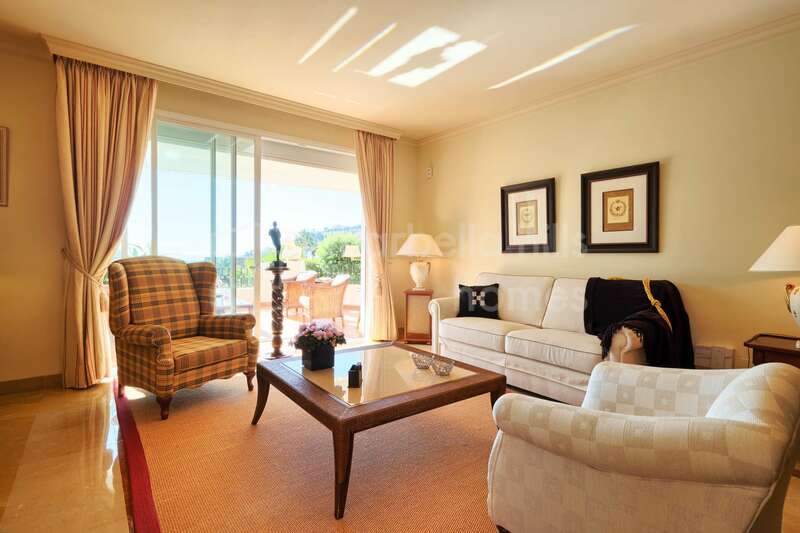 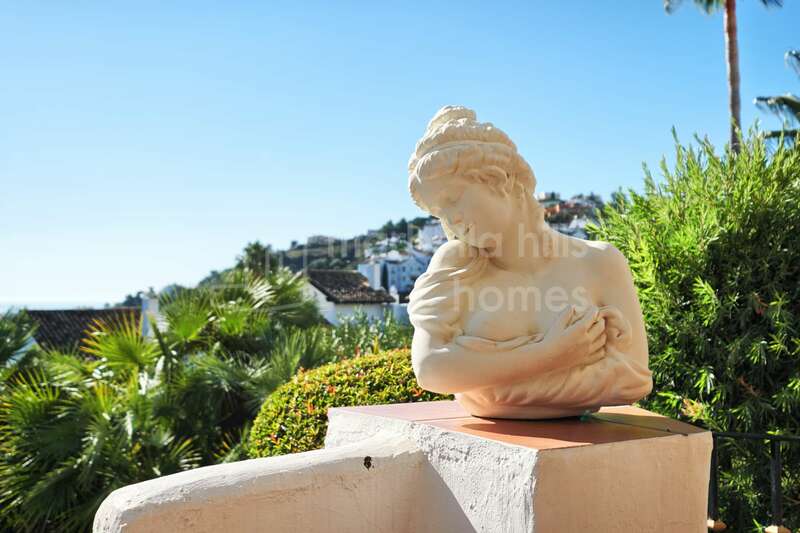 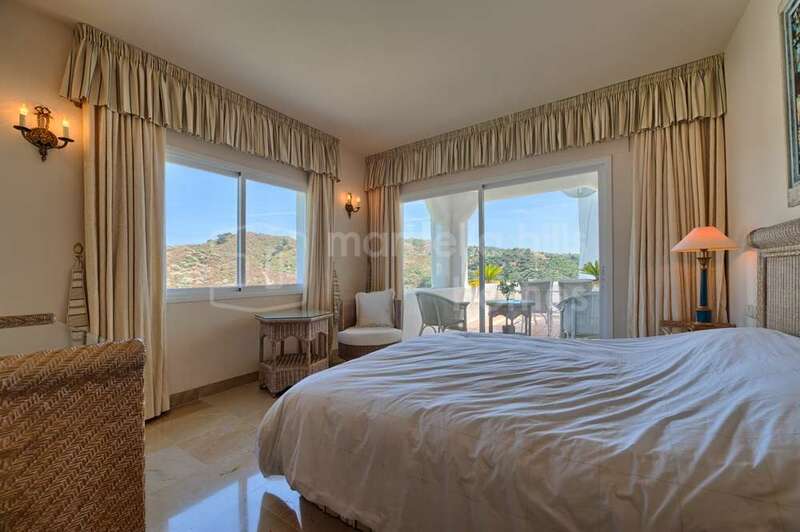 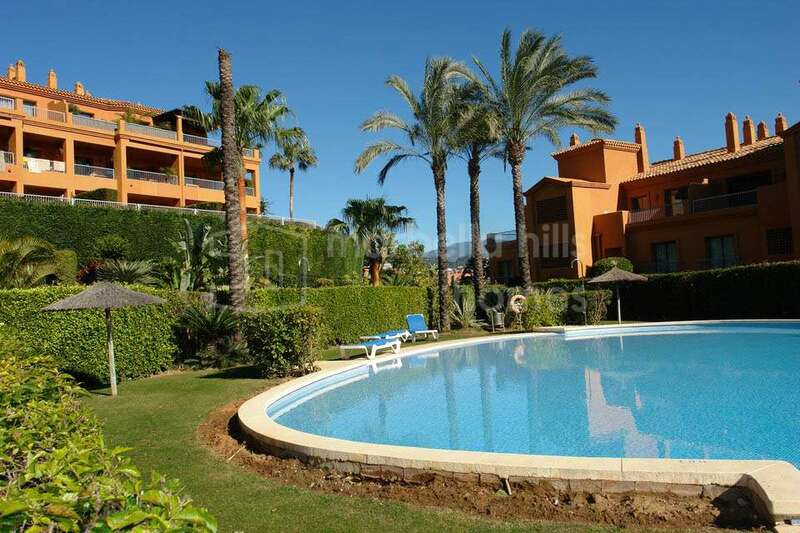 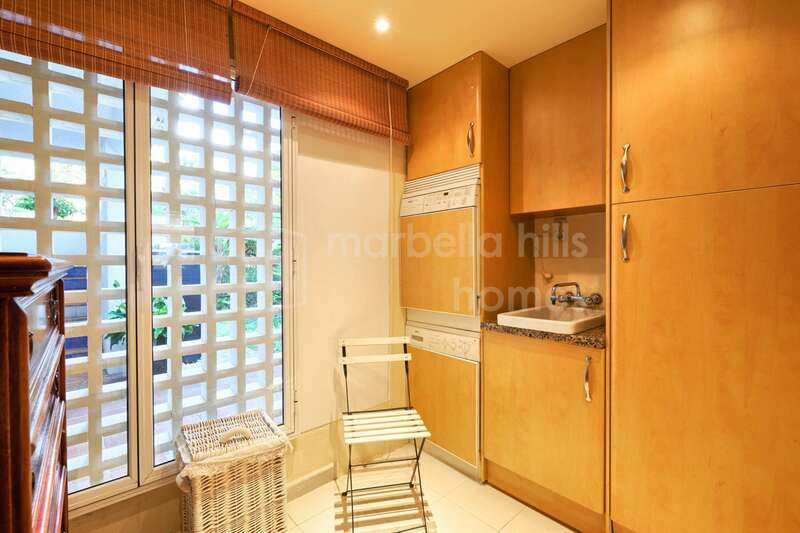 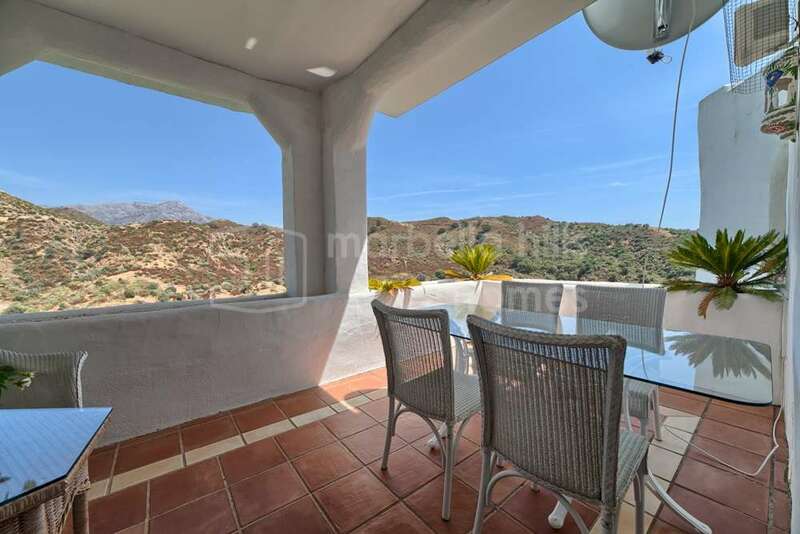 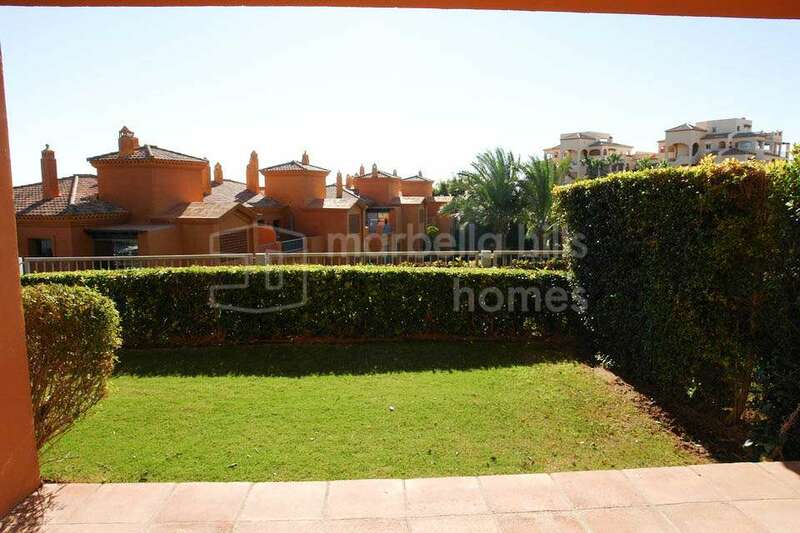 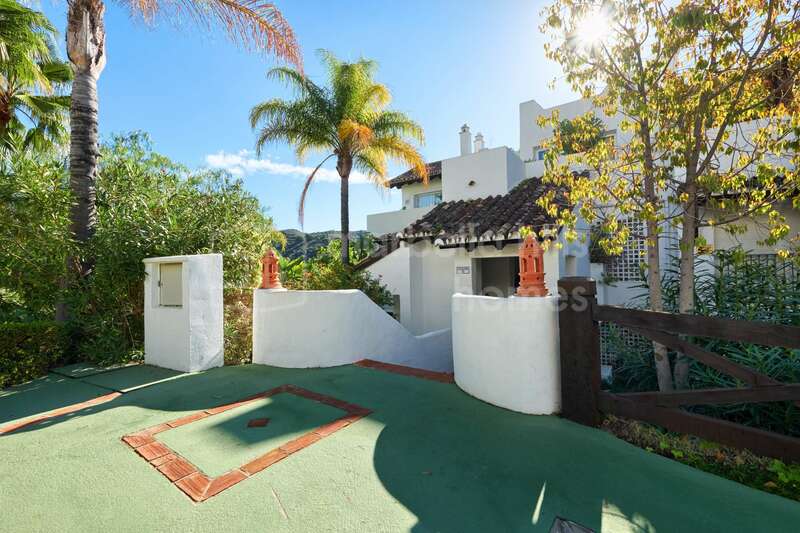 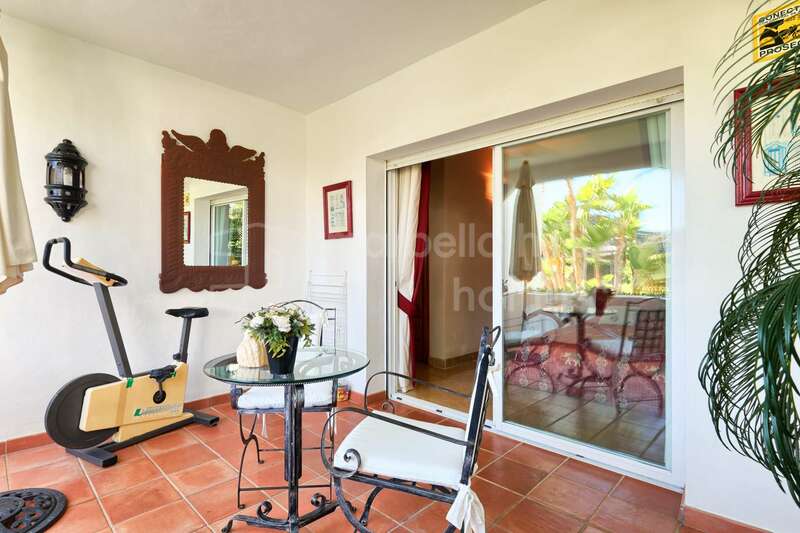 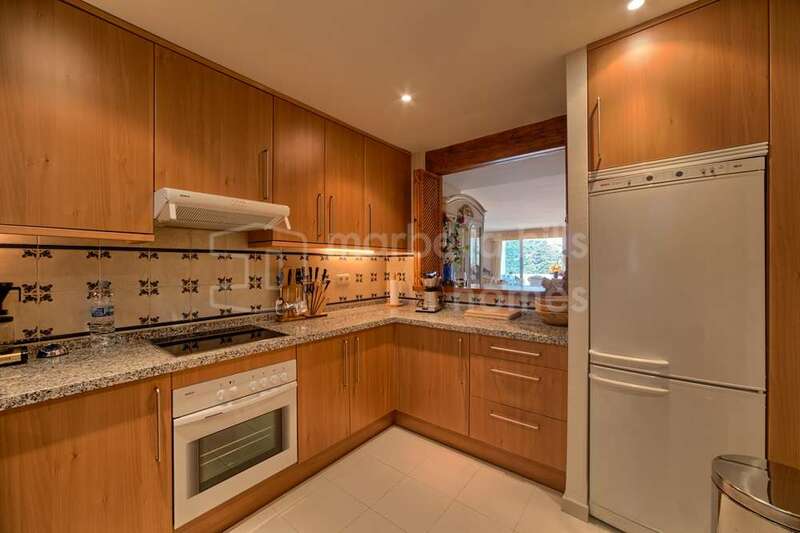 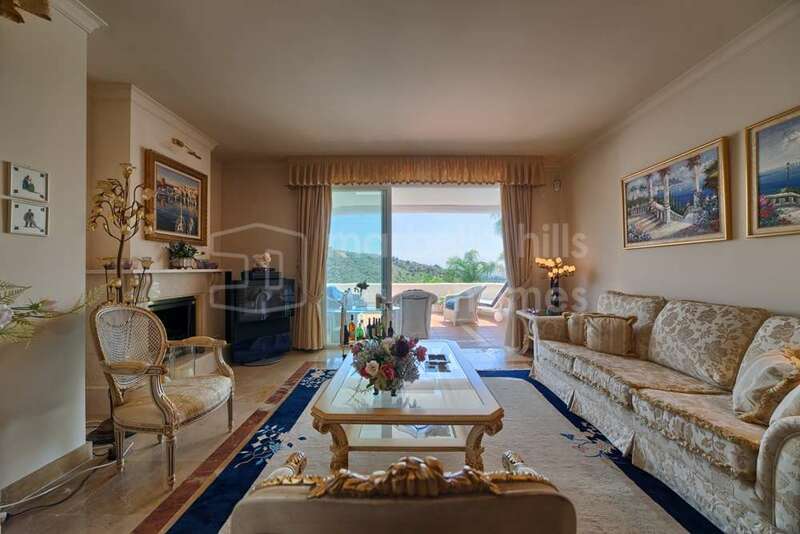 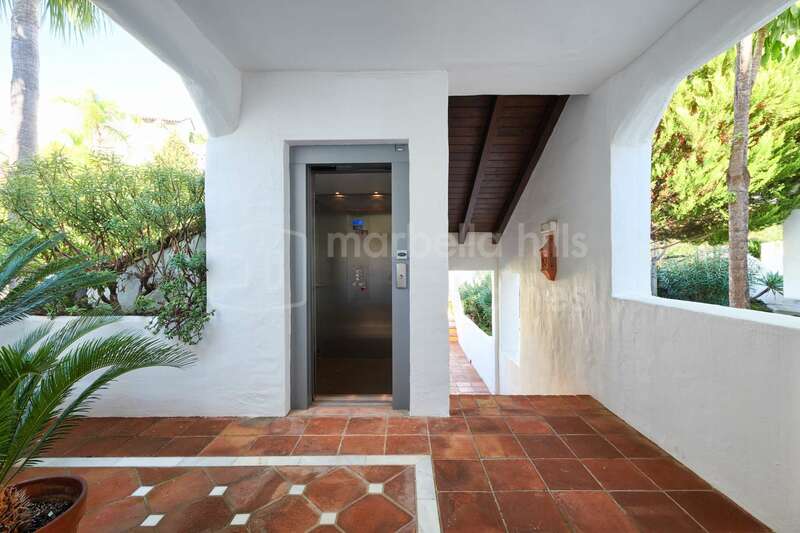 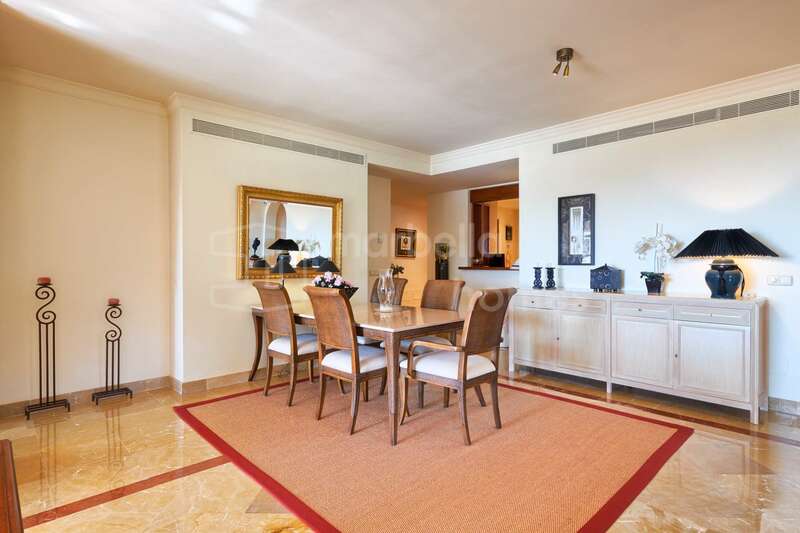 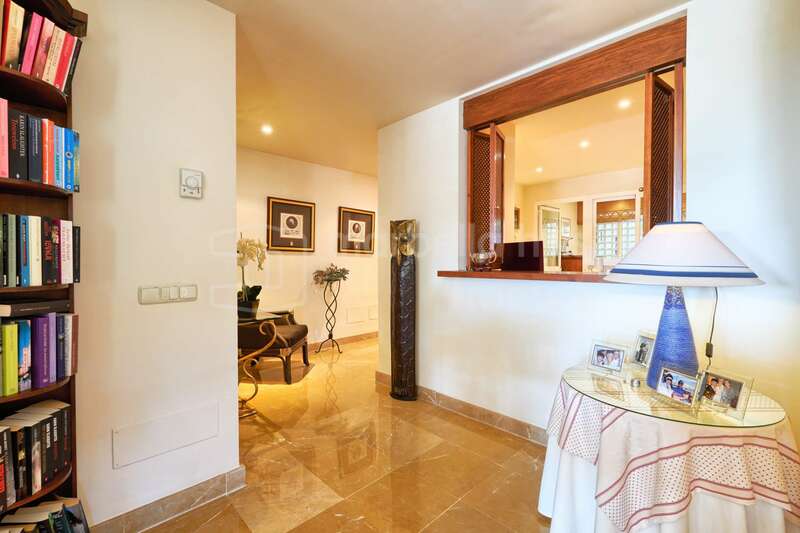 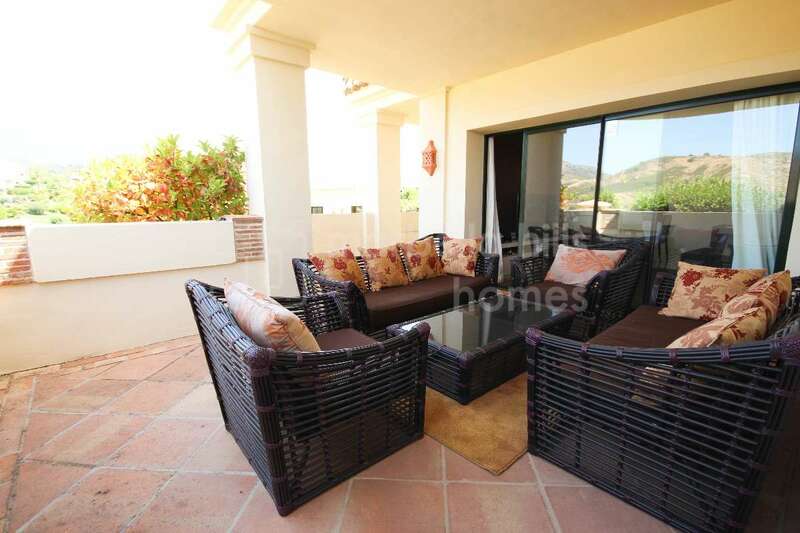 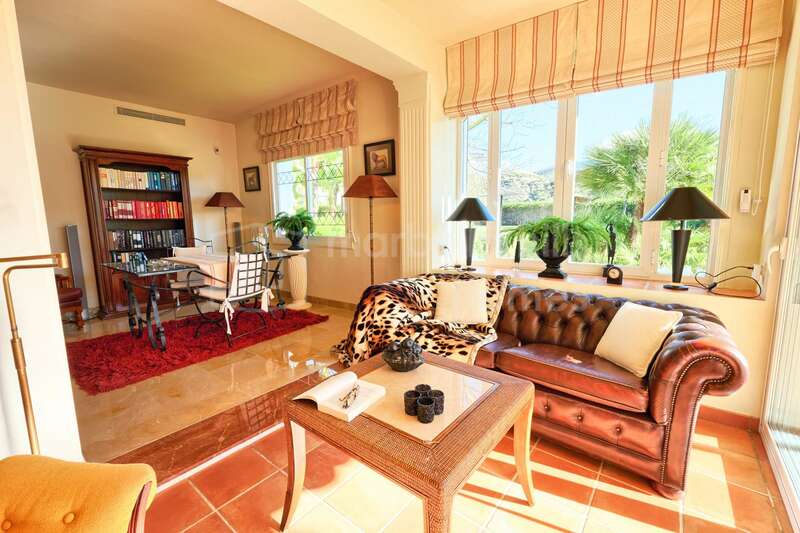 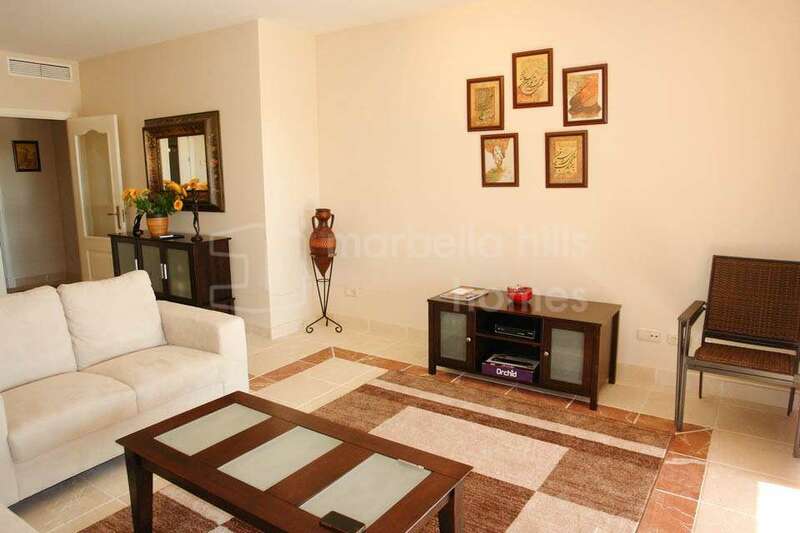 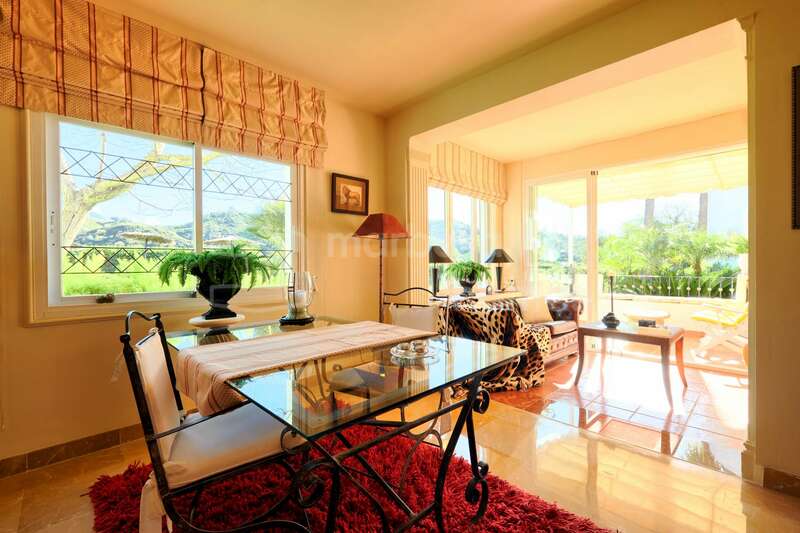 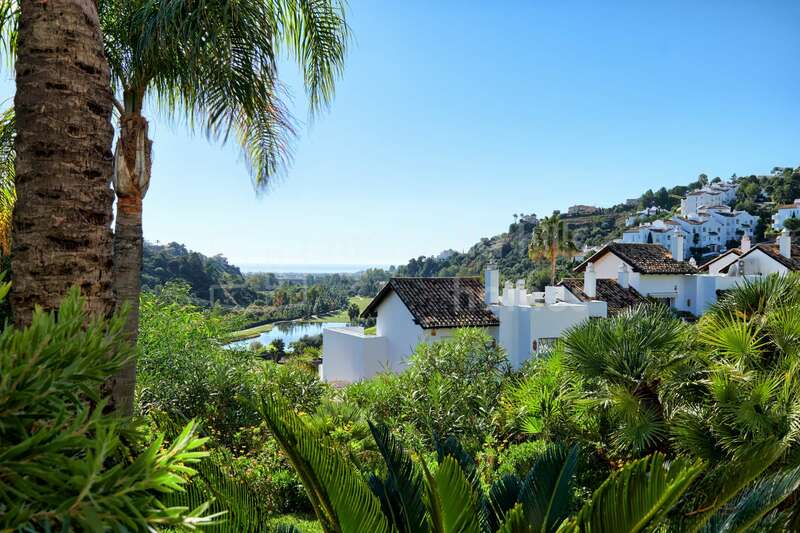 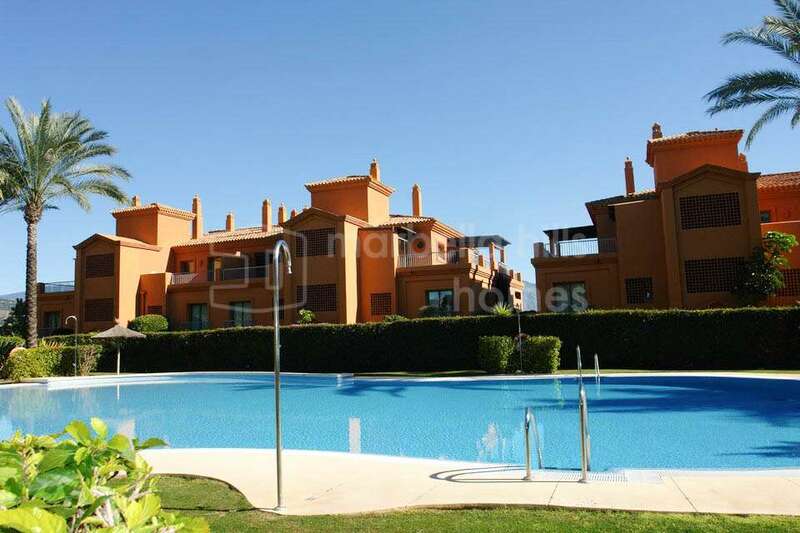 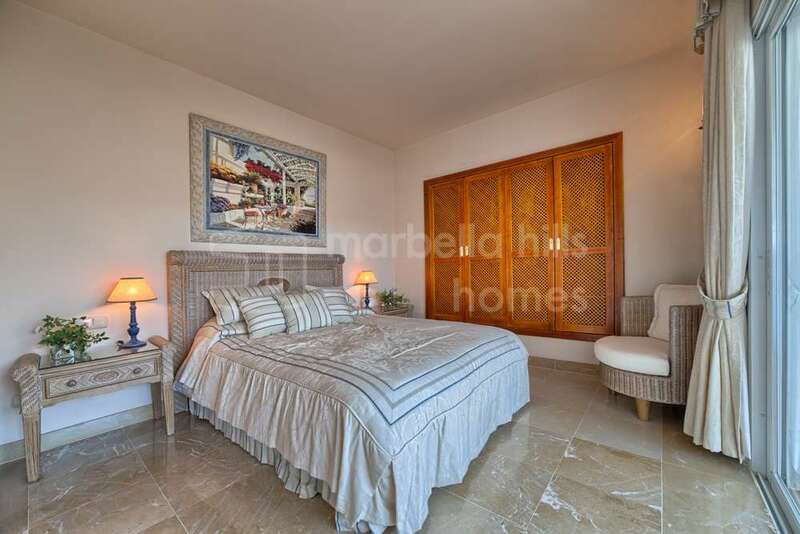 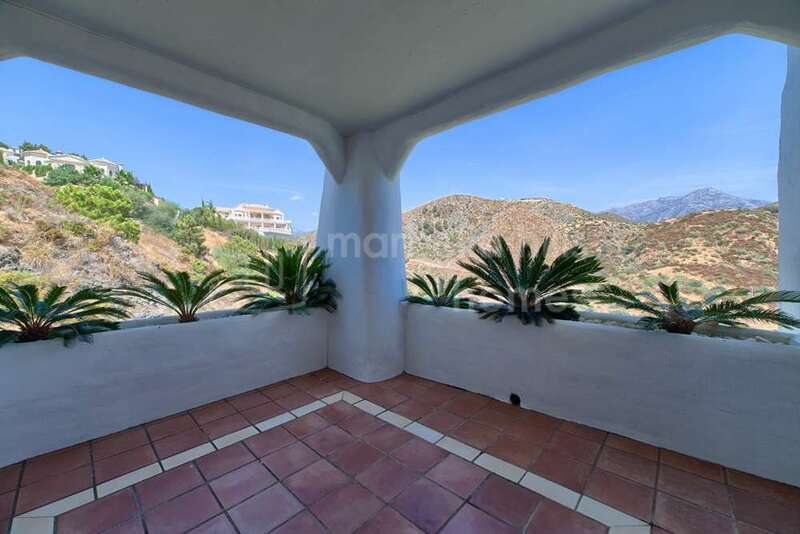 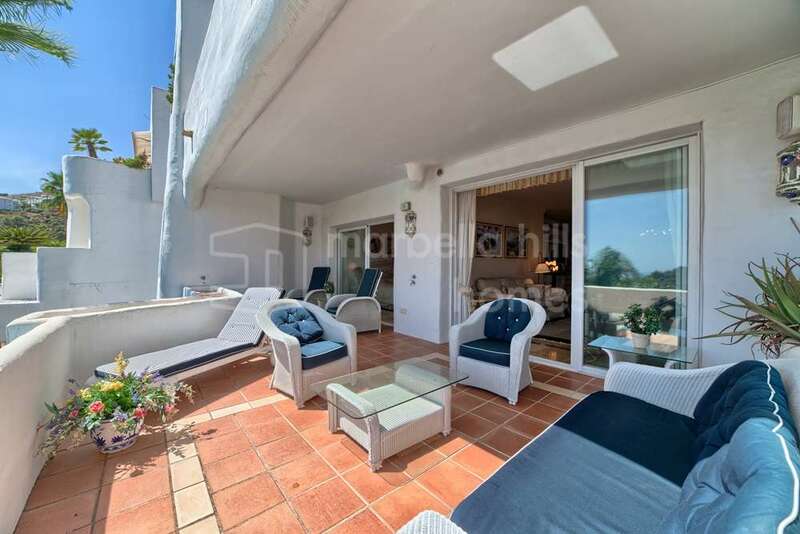 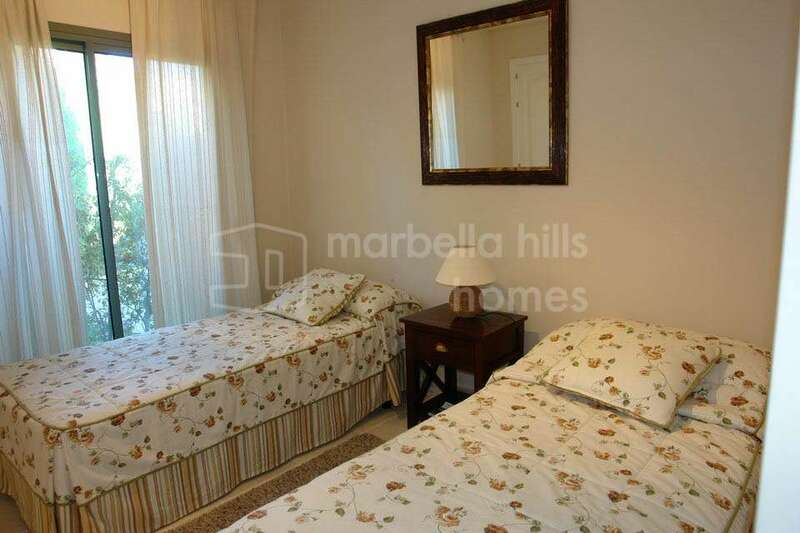 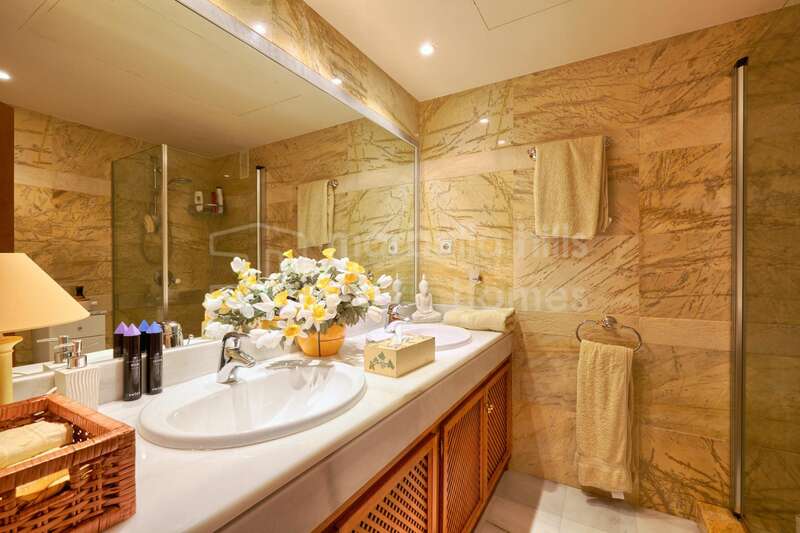 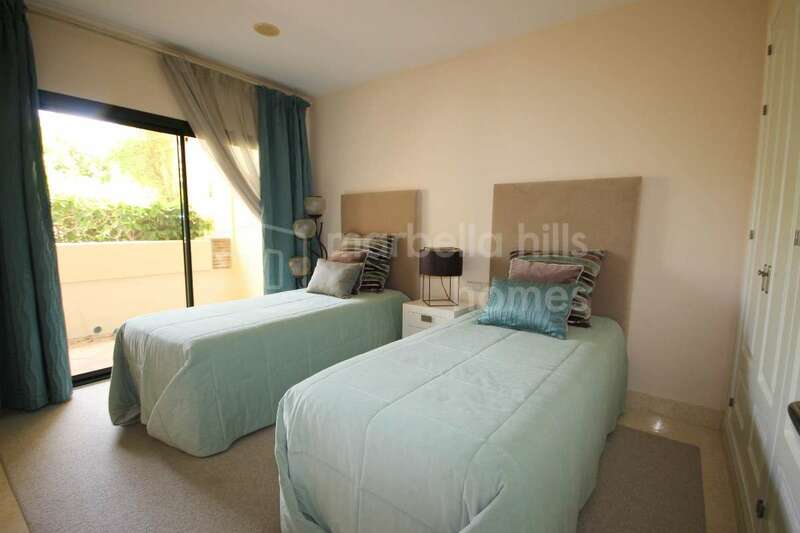 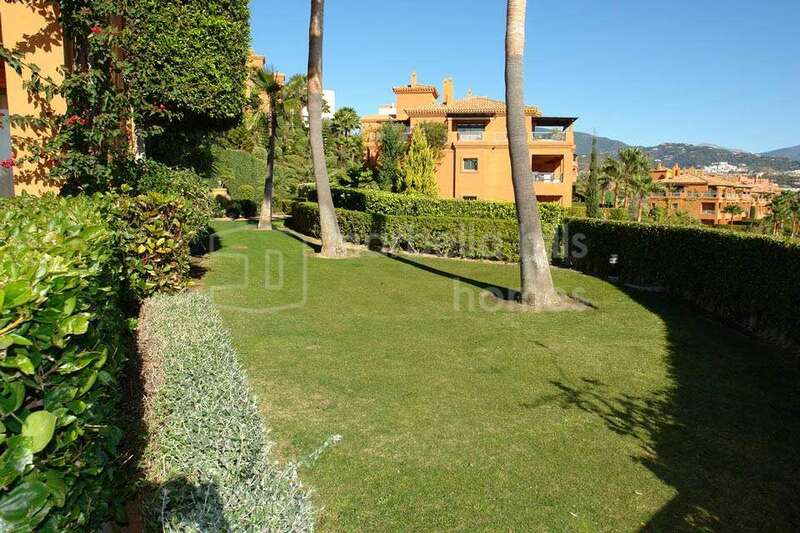 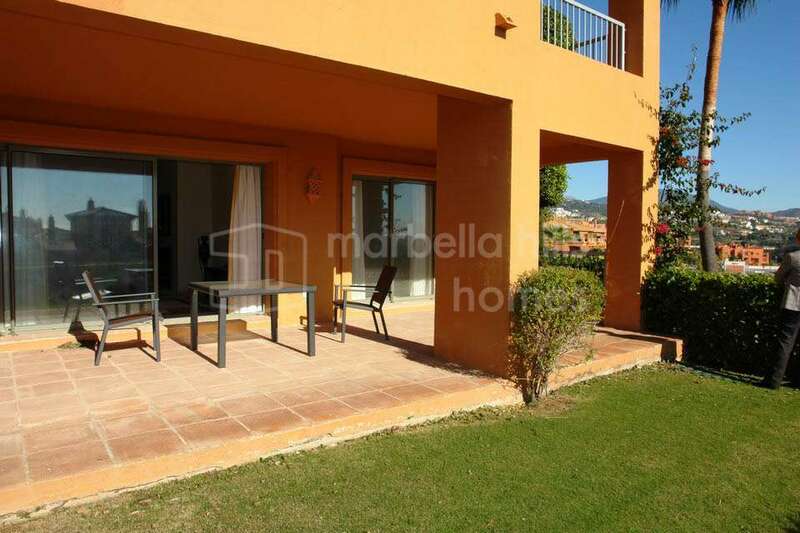 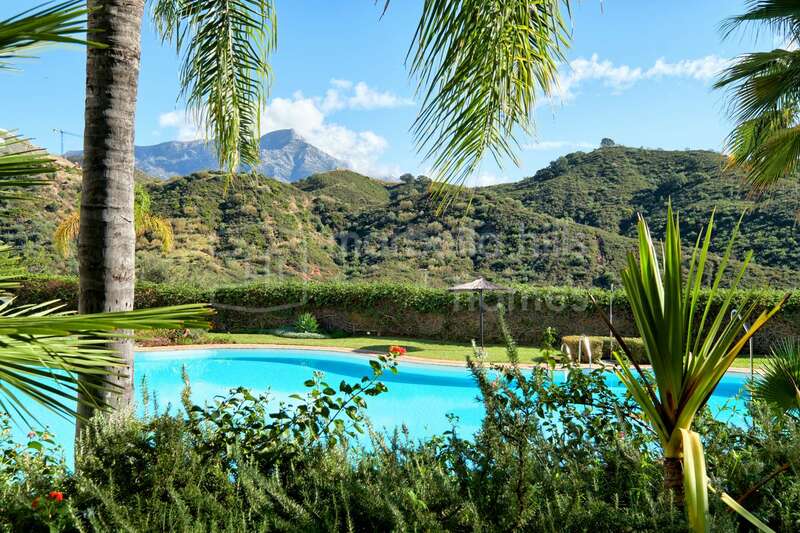 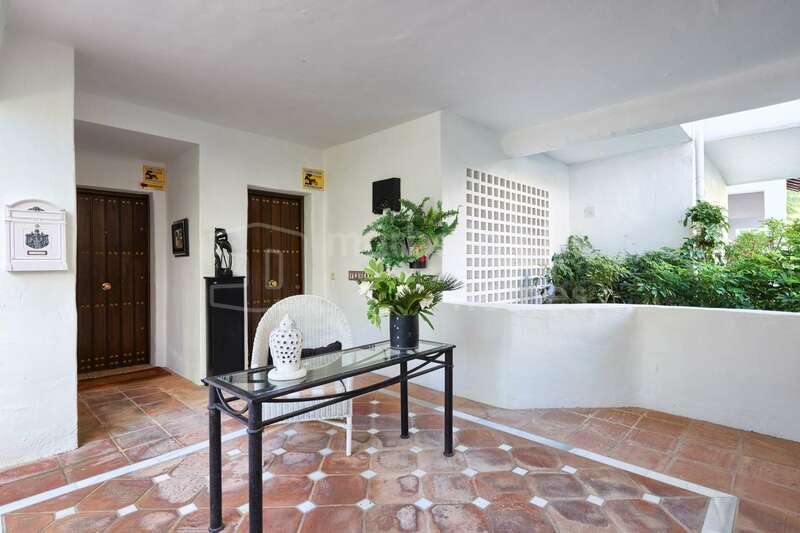 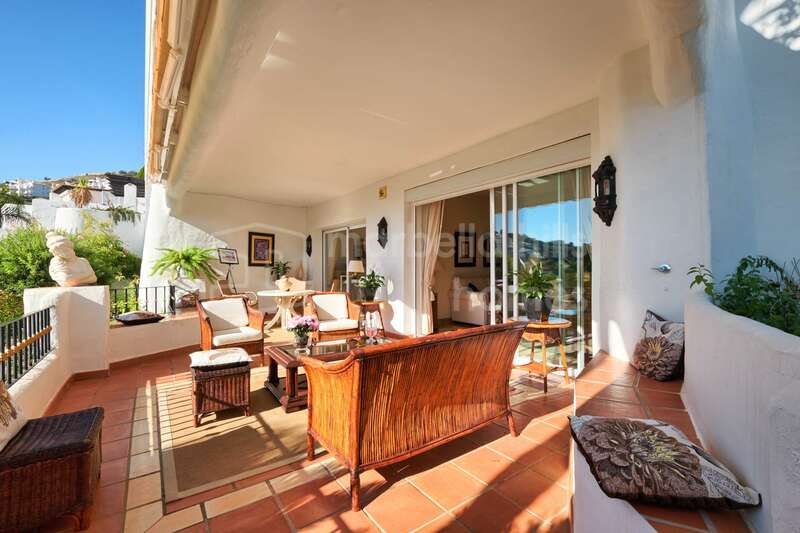 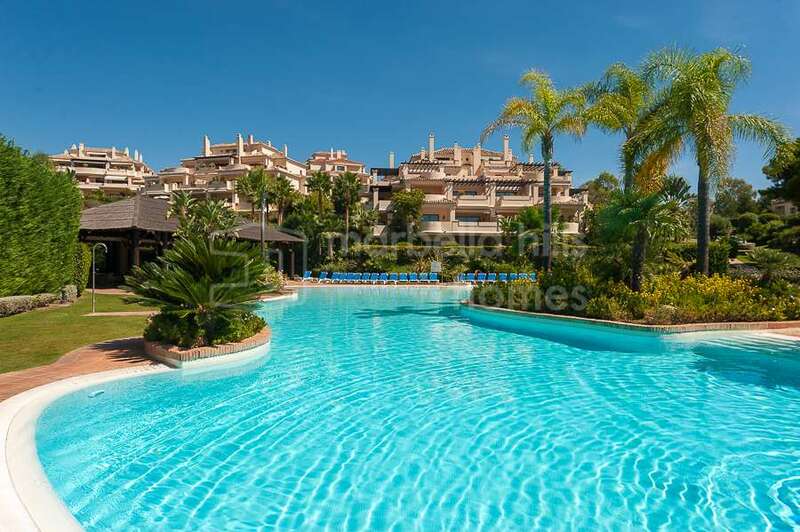 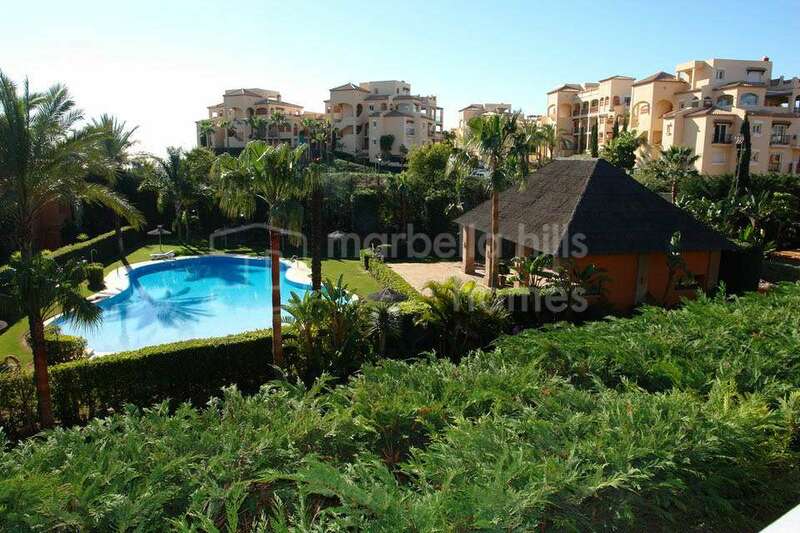 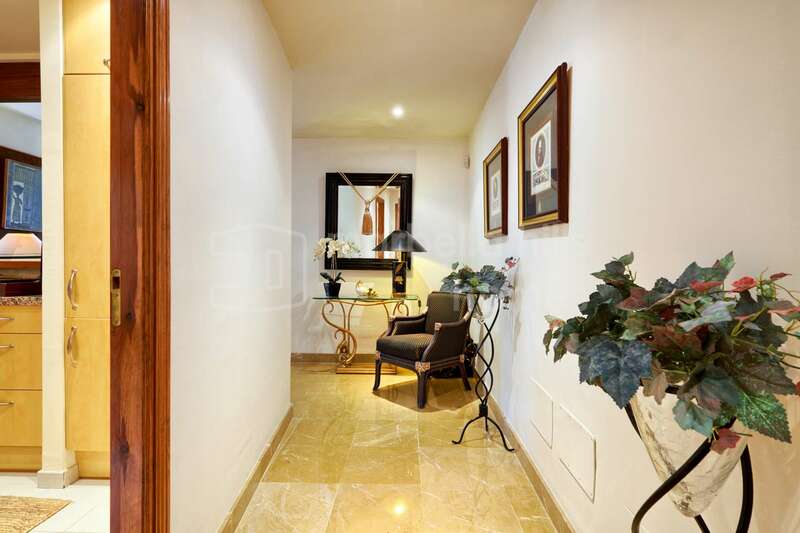 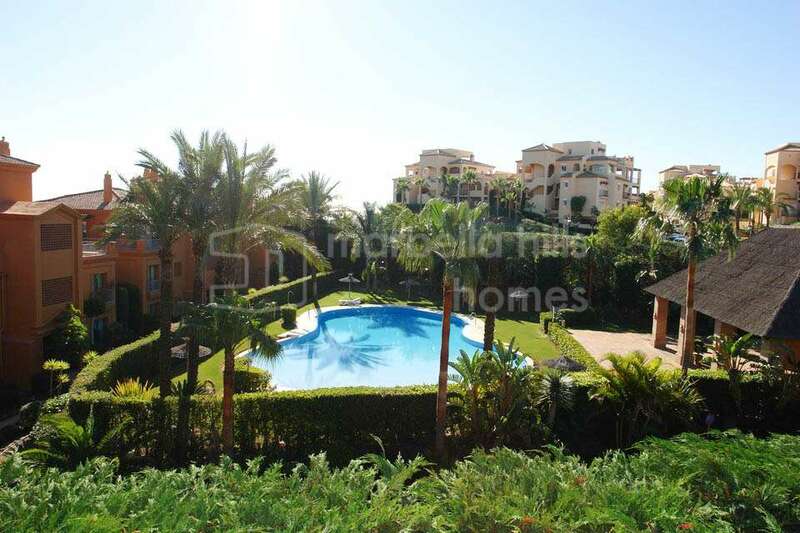 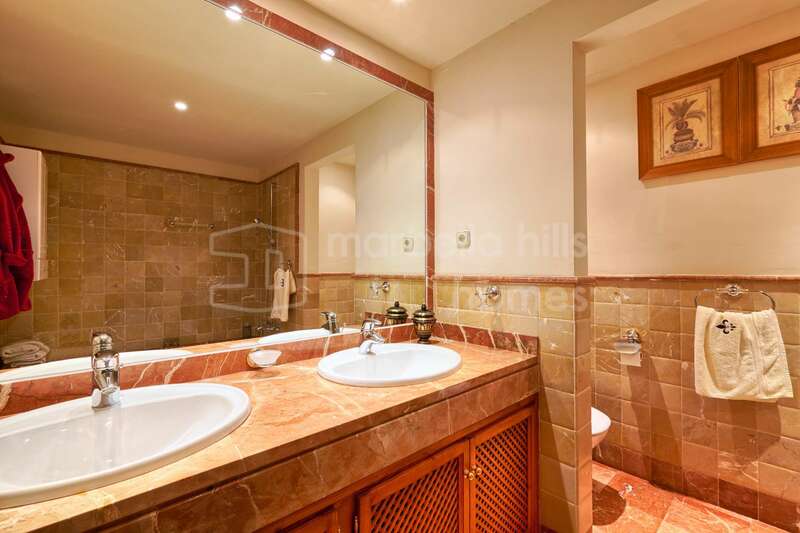 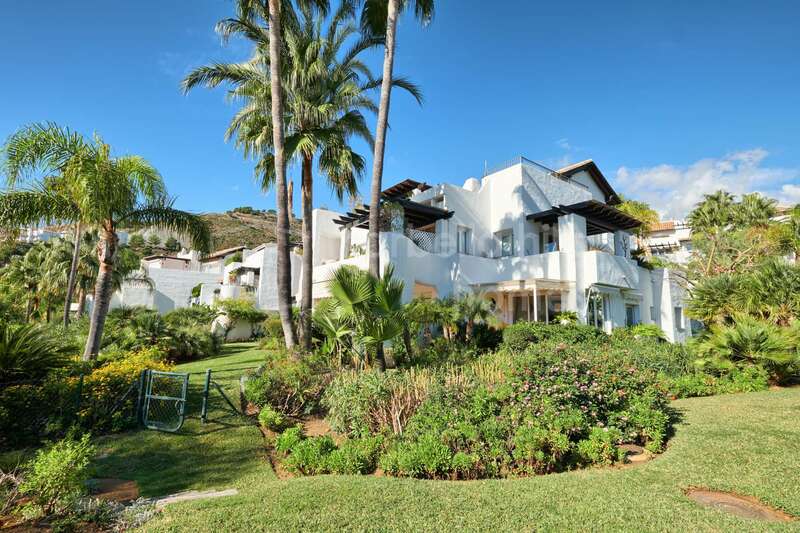 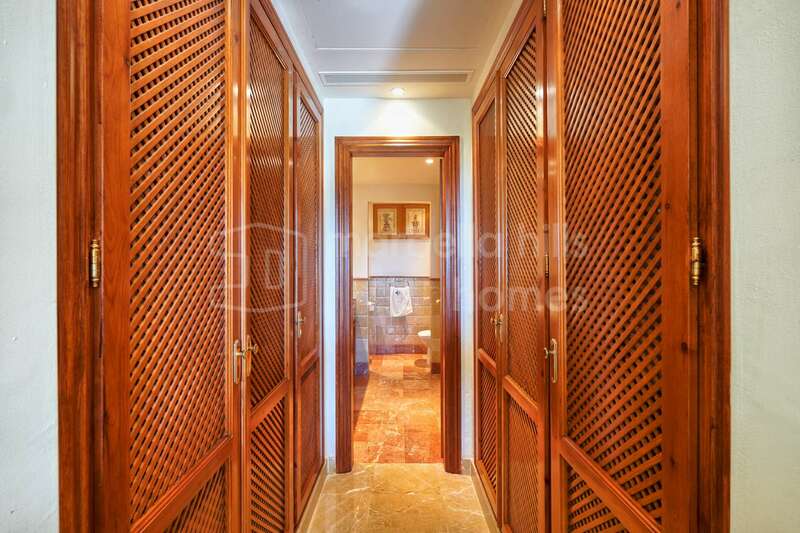 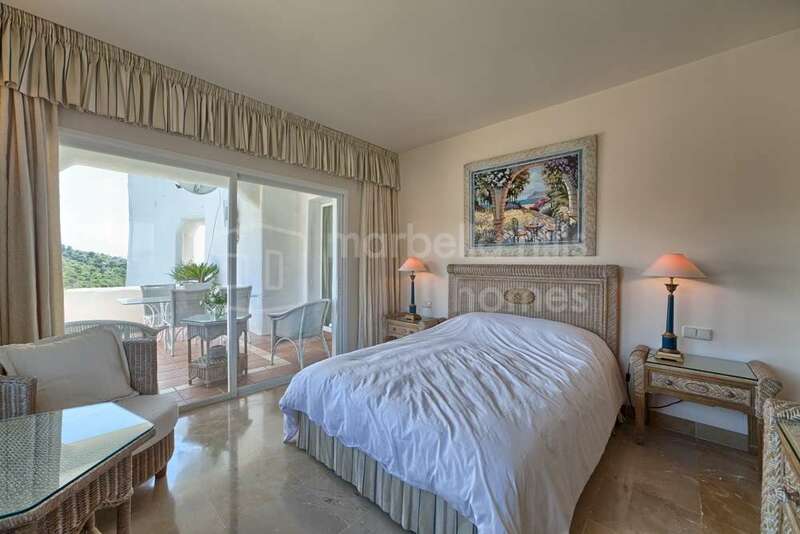 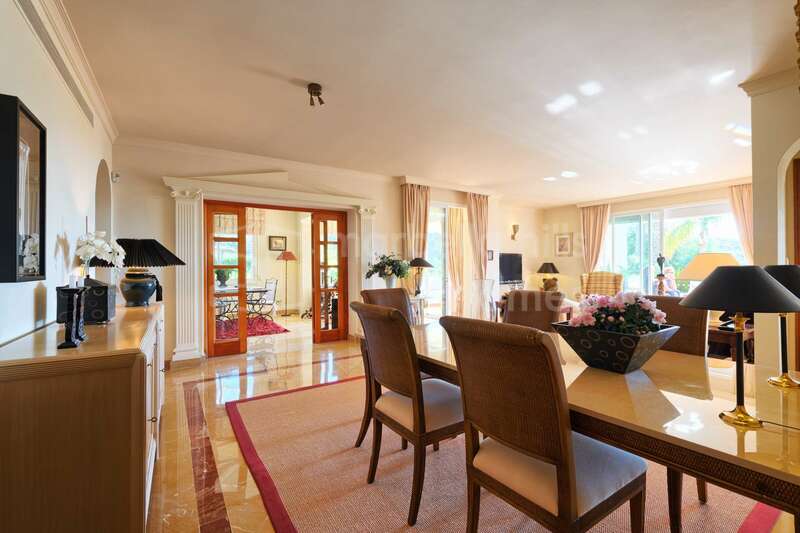 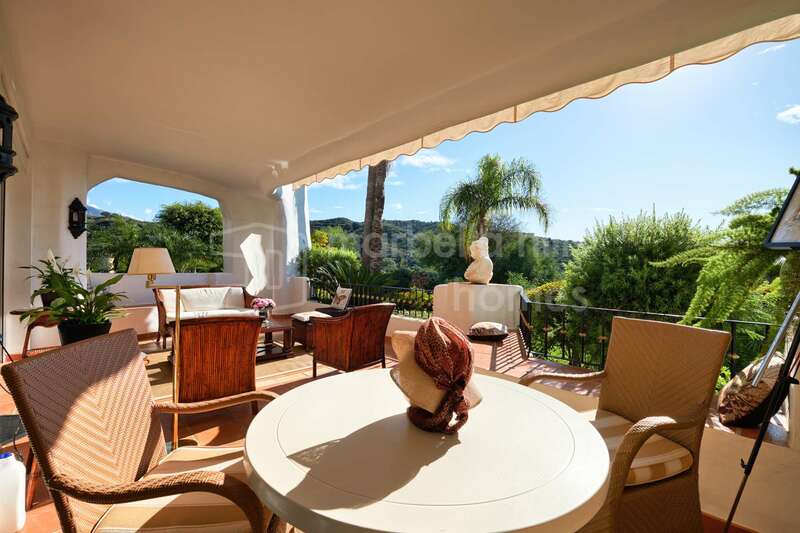 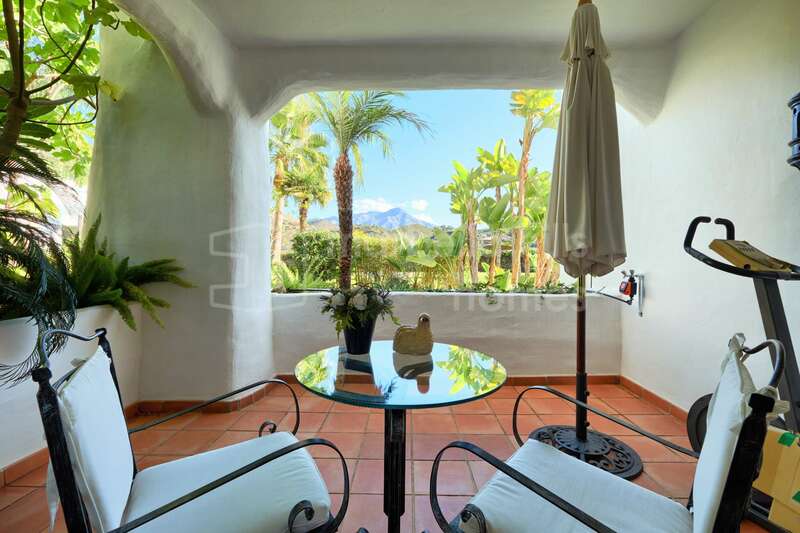 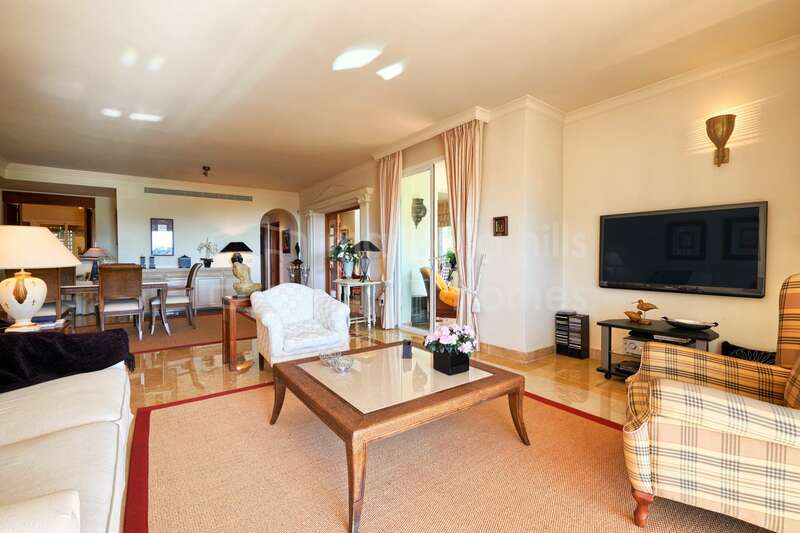 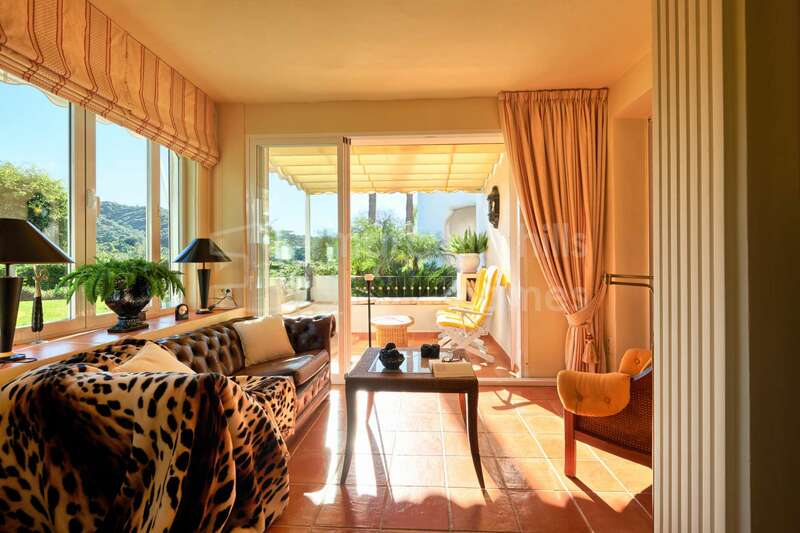 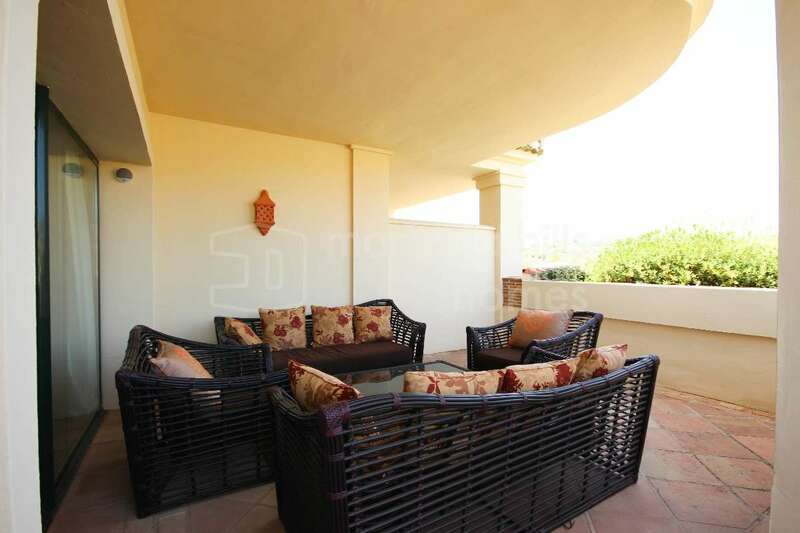 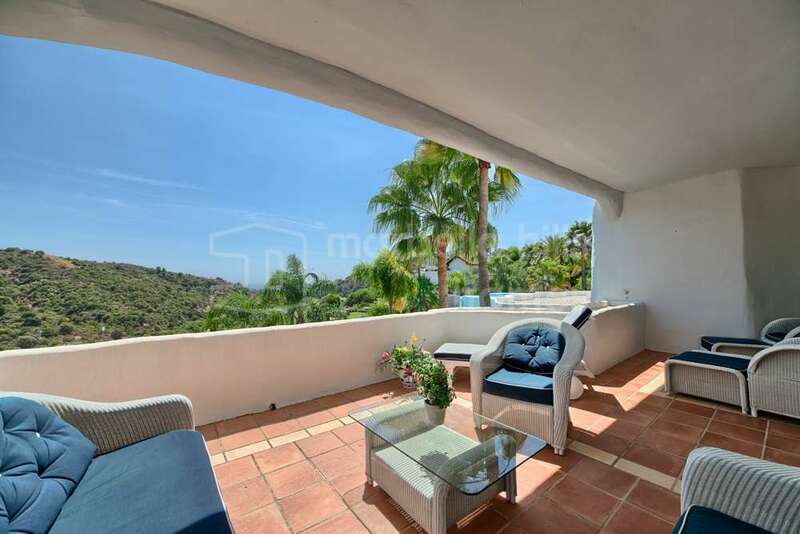 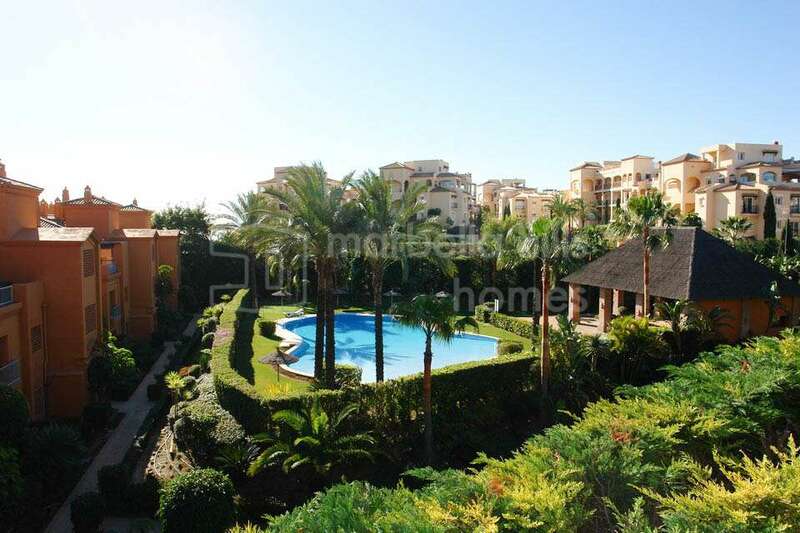 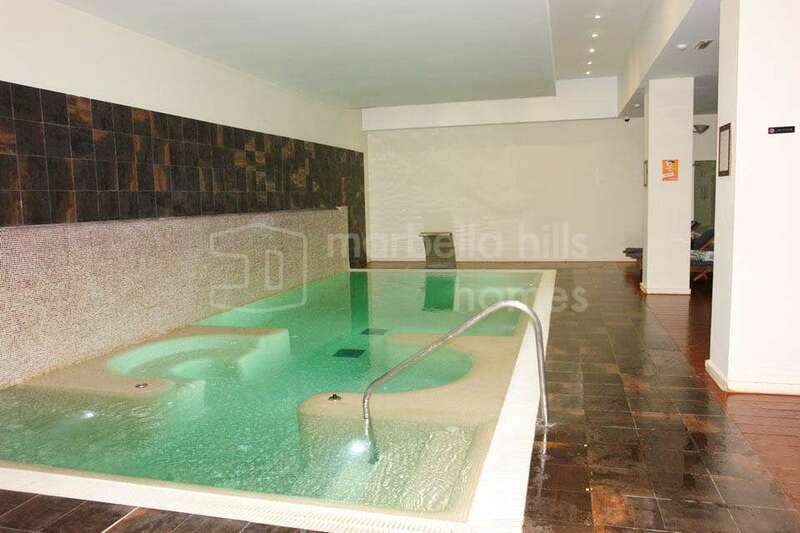 Luxurious three bedroom ground floor apartment in the private and secure residential area of Lomas de La Quinta, close to a prestigious golf course, and just minutes from Puerto Banùs, the beach and from all the shops. 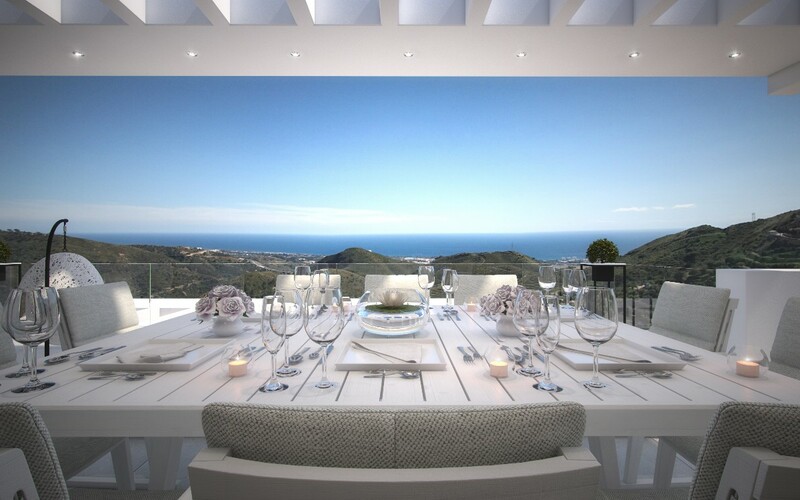 Superb view of the sea and the mountain. 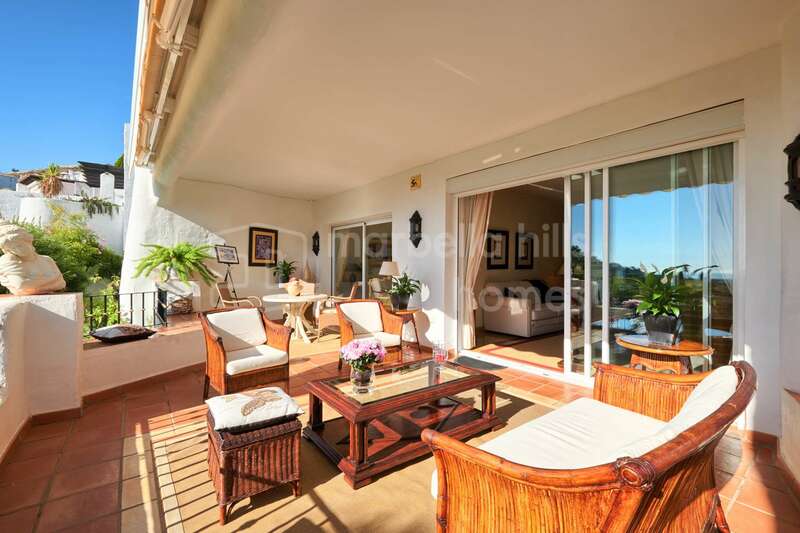 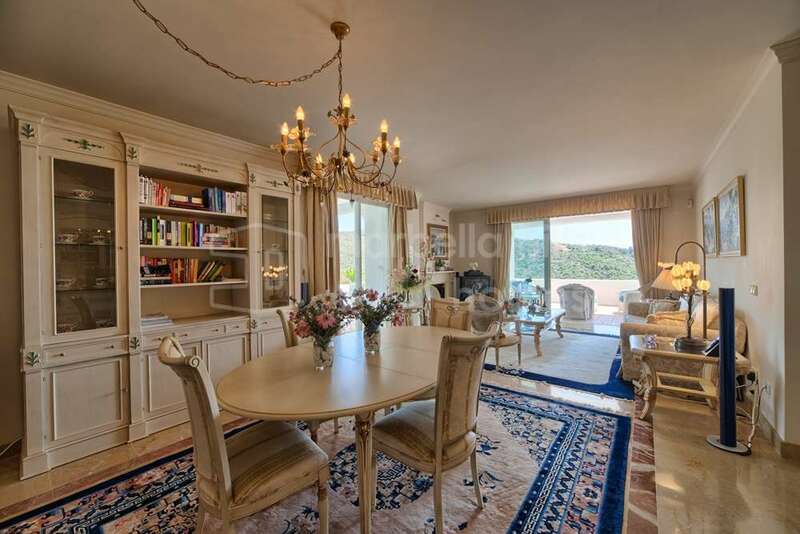 This very elegant apartment offers a large living room extended by an office area (or 3rd bedroom), a dining room with direct access to a large terrace with magnificent views of the sea and the surrounding landscape, a large fully equipped kitchen, adjoining laundry , a luxurious master suite with a private bathroom, a guest bedroom, a bathroom. 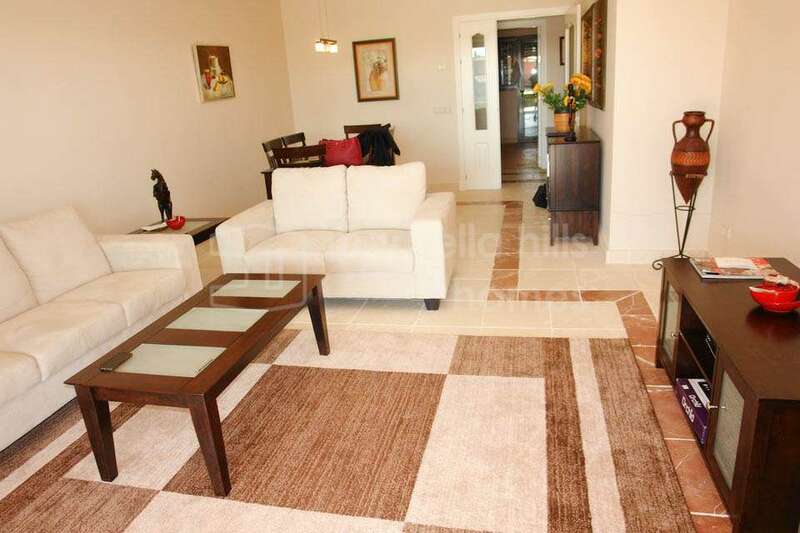 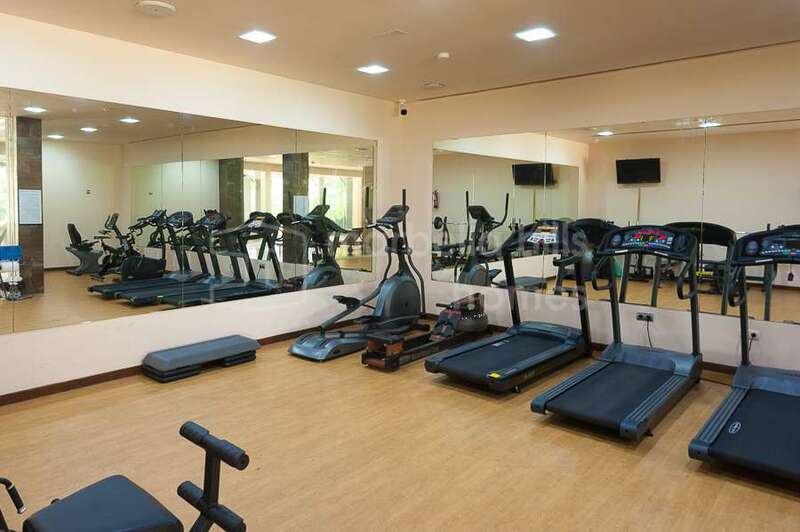 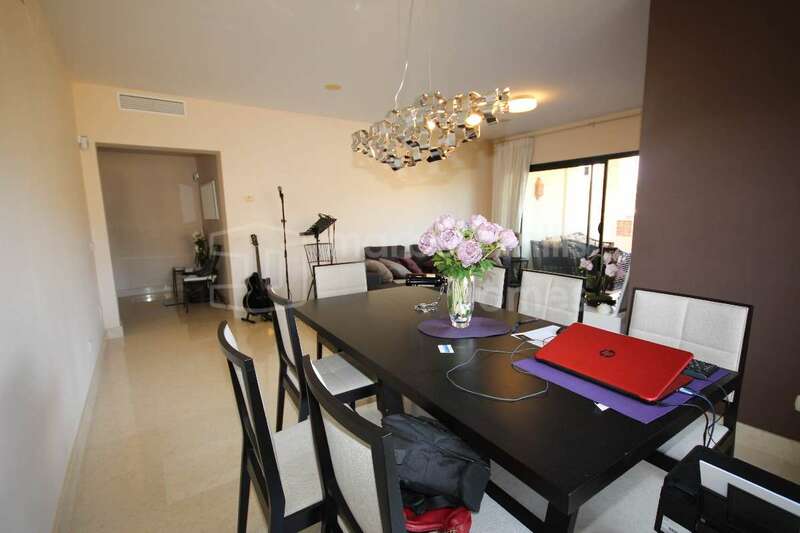 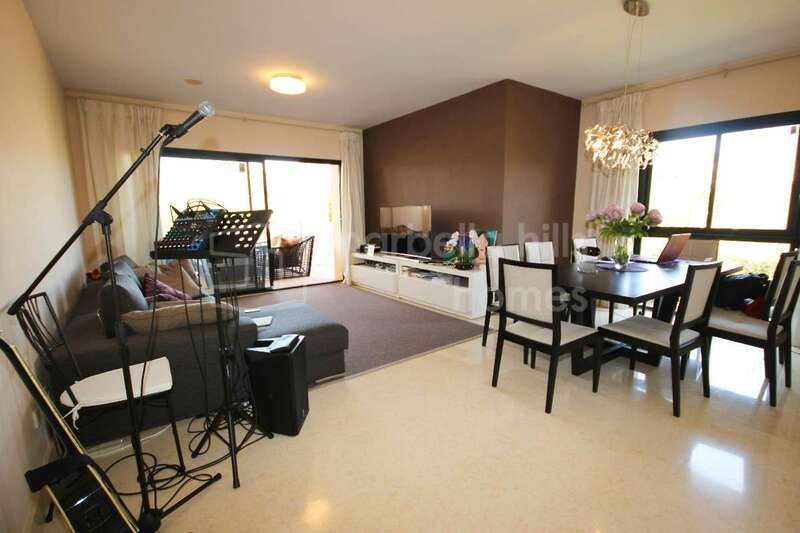 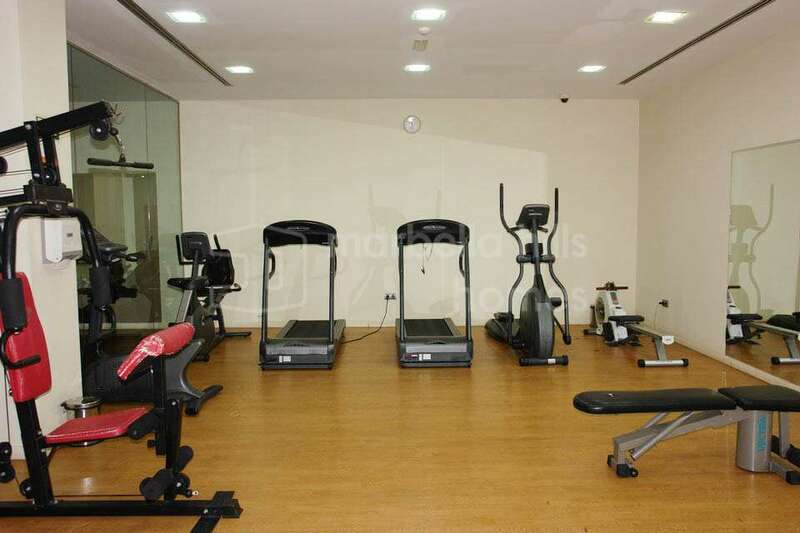 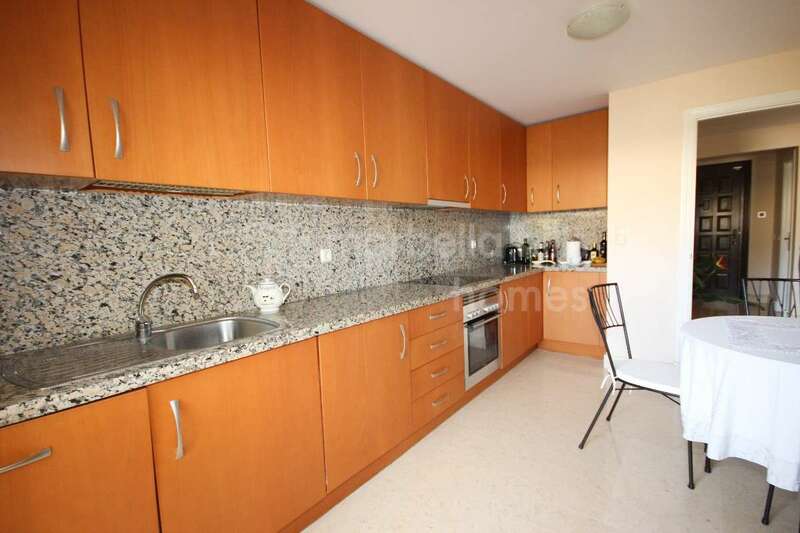 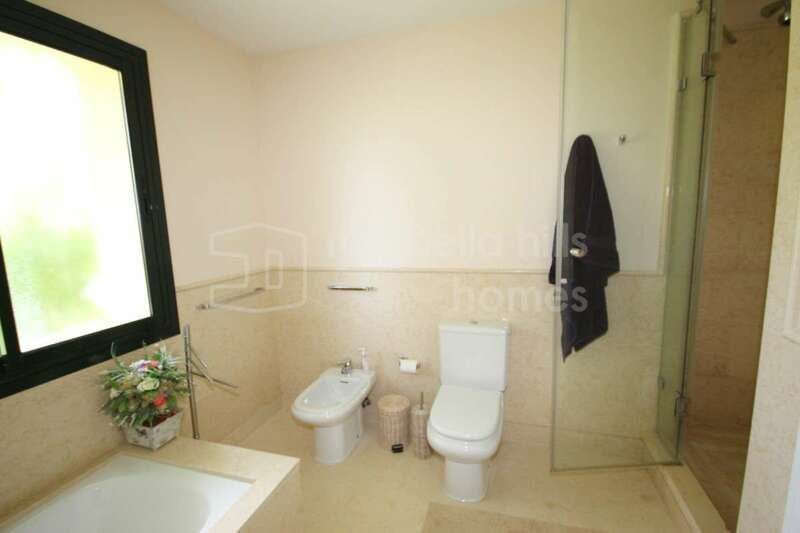 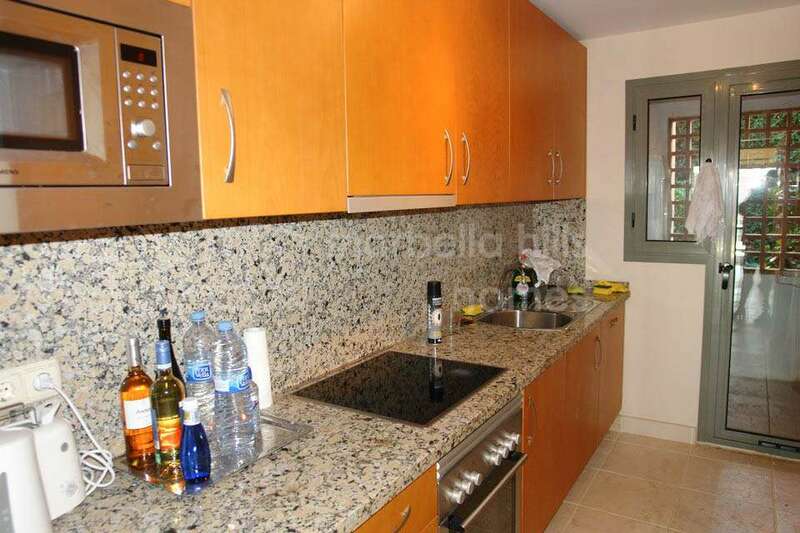 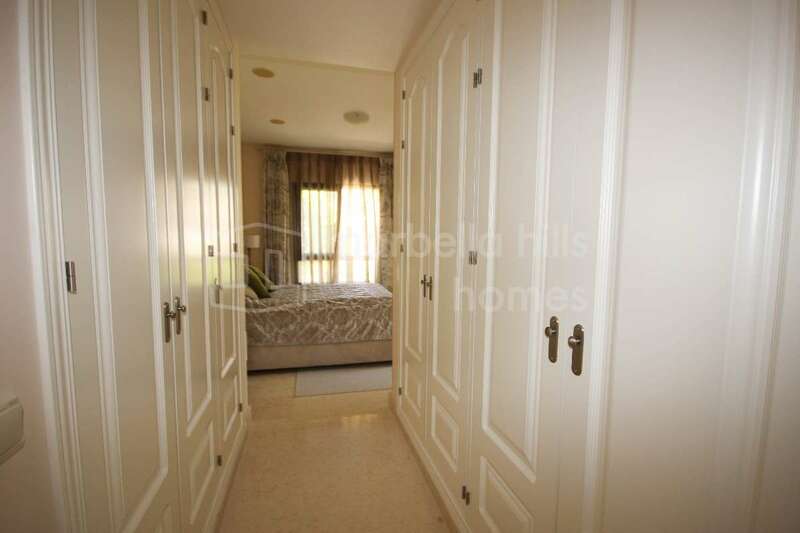 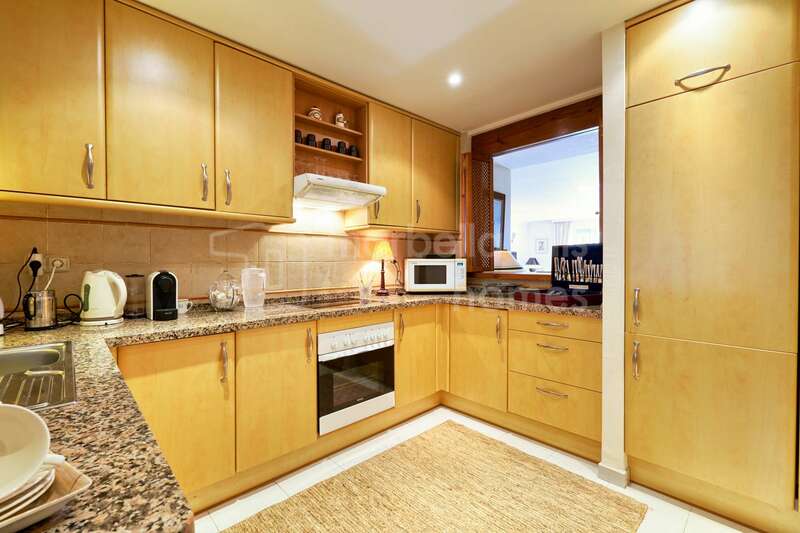 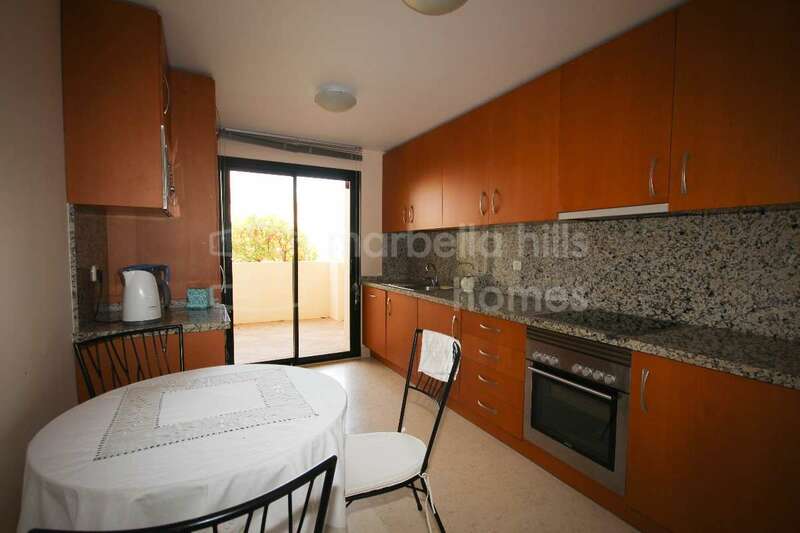 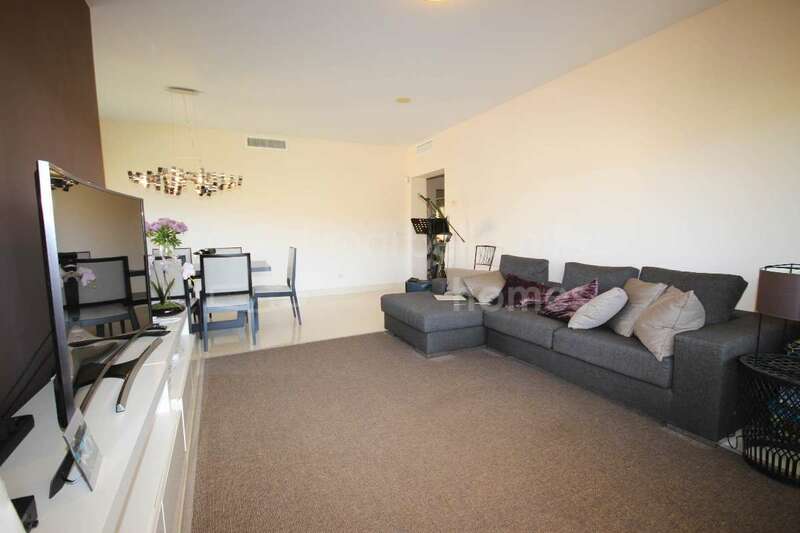 A parking space in the underground garage and a storeroom are included in the price. 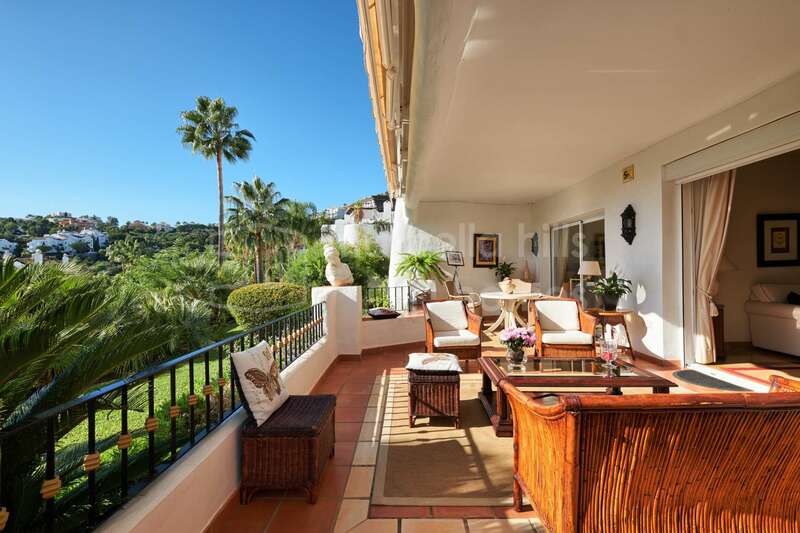 The apartment offers a privileged location on the ground floor, close to the pool and the beautiful tropical gardens of the residence. 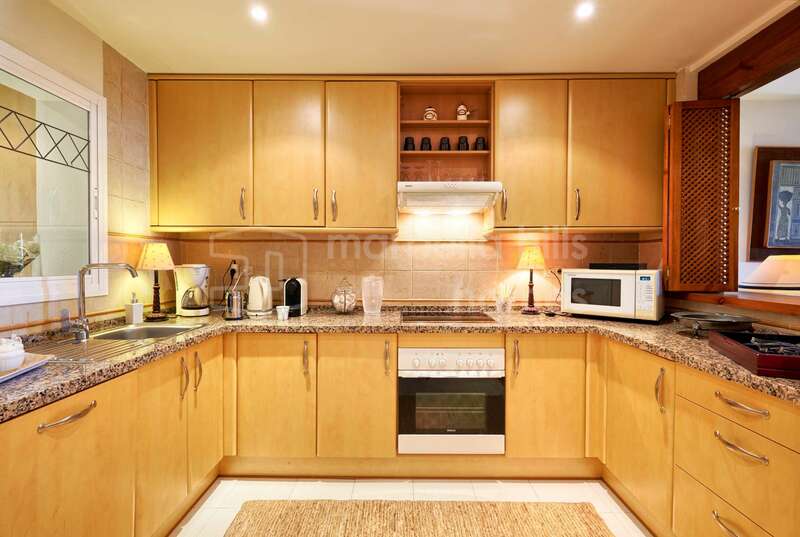 Fully fitted kitchen, Close to schools, Inside Golf Resort, Pets allowed, Fireplace, Marble floors, Satellite TV, Guest room, Storage room, Double glazing, Dining room, Private terrace, Kitchen equipped, Living room, Amenities near, Sea view, Mountain view, Internet - Wifi, Covered terrace, Fitted wardrobes, Gated community, Air conditioning, Lift, Underfloor heating (bathrooms), Close to children playground, Close to Golf, Uncovered terrace, Optional furniture, Excellent condition.